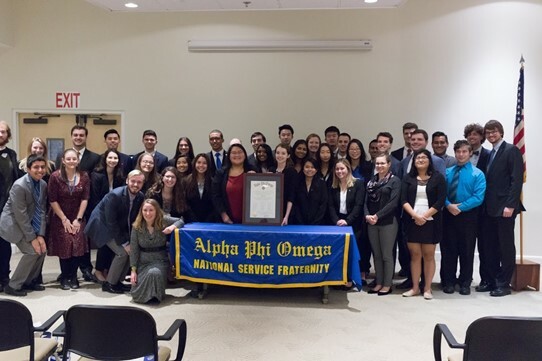 Alpha Phi Omega National Service Fraternity is proud to announce the chartering of the Alpha Theta Zeta chapter at Bentley University in Waltham, Mass. The chapter charted 32 new members into the Fraternity on Sunday, Nov. 11. Congratulations to our newest brothers, and we wish them the best of luck as they continue to grow and make a positive impact on the Bentley University community, the city of Waltham, and Alpha Phi Omega!